Campsite Lindlbauer is a campsite with 91 touring pitches. 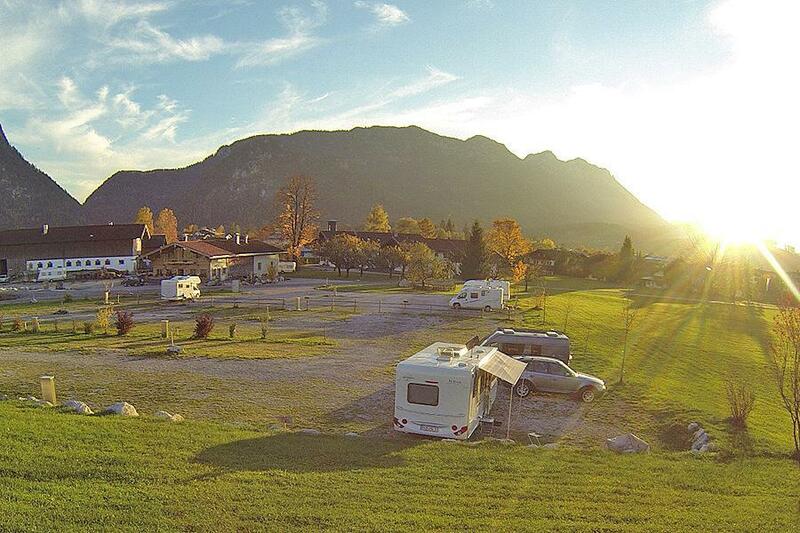 During low season, between 31-01-2019 - 08-06-2019 and 01-09-2019 - 10-11-2019, the nightly rate is €20,- at one of the 91 touring pitches at Campsite Lindlbauer in Inzell (Bavaria). At this campsite you can not only use your CampingCard ACSI for inexpensive camping, you can also use your ACSI Club ID (as an alternative ID). The campsite is located at walking distance from the new ice-stadium (world class). The campsite is still new, without shade and with very spacious pitches. Luxury toilet facilities with private units for rent. Good restaurant at walking distance. Inzell is a town with a touristic liveliness. Lovely location surrounded by mountains on the edge of Inzell so an easy walk or cycle ride into town. Superb toilet/shower facilities, amongst the best I have seen in Germany. Excellent all weather pitches with water and waste. Reception closed at lunchtimes but there is access to the pitches so you can check in later. There is site wide WiFi but a bit expensive especially as it was not very reliable but I think site may have had a problem with it during our stay. Whilst overall this is a lovely campsite my one gripe is only a 2Kw electricity daily allowance (I thought ACSI sites were meant to have 4Kw? No indication to the contrary) This, plus extra taxes and WiFi charges made it a much more expensive stay than we bargained for. Situation beautiful, San facs excellent. Electricity is not included in price so the total price we thought was expensive. Would you like to book Campsite Lindlbauer or request more information? You can do both using the information below. A8 München-Salzburg. Exit 112 Siegsdorf dir. Bad Reichenhall/Inzell. Then follow signs. CampingCard ACSI will send your information request to "Campsite Lindlbauer".